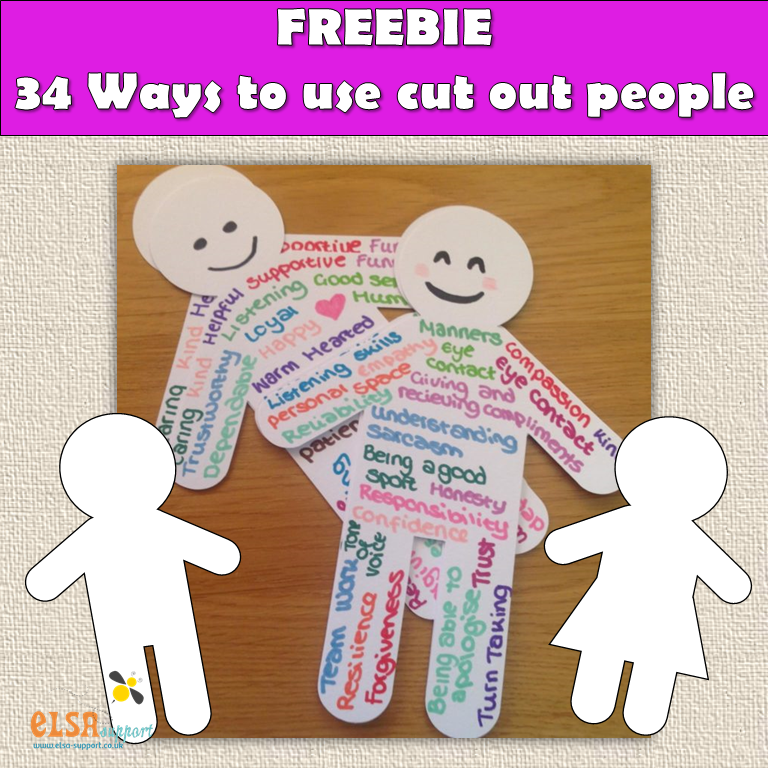 Last year members of the ELSA Group helped me put together a list of ideas for using those little cut out people. I did write a blog post but thought that it might be nice if I made some cut out people and put all the ideas into a list. This is what I have come up with. I drew the people using shapes on powerpoint. It is amazing what you can do with a few shapes.